Hell of a way to find out. I have been a contributing editor – contracted freelancer – with Vanity Fair for 6 years. I live in Dallas & have not been in contact with the new editor in charge. My contract expired and was not renewed. Called my friends there – all of them gone too. In an email, which Eichenwald sent Tuesday to Daily Wire Editor-In-Chief Ben Shapiro, Eichenwald claimed to be writing an article about Shapiro’s professional relationship with Kashuv. 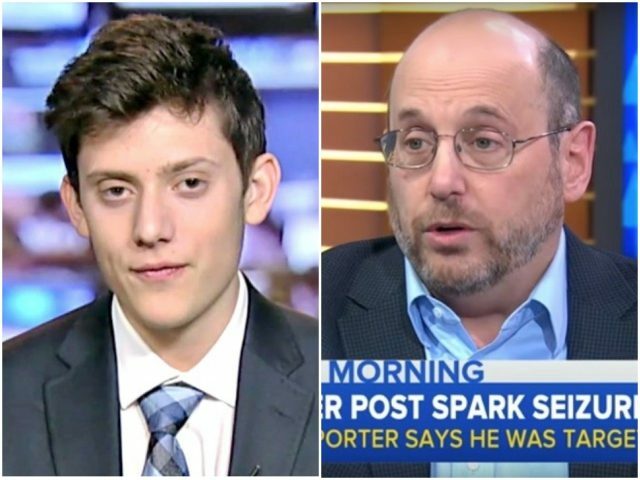 Eichenwald accused Kashuv of “working to trick journalists,” “coordinating” with “trolls,” and then claimed he had contacted a psychiatrist to ask for an evaluation of Kashuv’s mental health. In a follow up email, Eichenwald accused Shapiro’s followers of sending him strobe GIFs in an attempt to trigger an epileptic seizure, before threatening to hold Shapiro “responsible” for any GIFs he receives. After the emails were posted on Twitter by Shapiro, conservative commentators called for a boycott against the advertisers of Vanity Fair. Statement from a Vanity Fair spox: "Kurt Eichenwald is not a contributing editor at Vanity Fair." Eichenwald, however, is privately insisting he is a Contributing Editor at Vanity Fair. It is unclear when, or if, Eichenwald and Vanity Fair parted ways. This would be the second time in a week for Eichenwald’s affiliations with news outlets was called into question. Earlier this week, Eichenwald admitted his contributorship with MSNBC had expired after an advertiser pulled its ads from the network in order to boycott the journalist.